healthy kids lunches Archives - simple.green.organic.happy. It’s back to school time! Time to start stockpiling ideas for kids’ lunchboxes. Here’s one that kids will love: organic fruit snacks and fruit strips that include a full serving of whole fruits and veggies in each package. Fruit snacks are pretty much a lunchbox staple, right? They qualify as a treat without being a candy, cake or cookie (which many schools don’t even allow anymore in school lunches). The thing is, a lot of fruit snacks really should qualify as a candy. They carry a “health halo” for being fruit flavored, or maybe having some fruit juice as a main ingredient, but they still hold a lot of sugar and not much else in a tiny package. You can make your own fruit snacks and leathers to control the sugar levels, and if you have a dehydrator you should totally go for it, they’re delicious. Buttttt they are also a lot of hassle if you don’t have a dehydrator, plus they’re best with done with fresh, in-season fruit. Not really practical for the school year. Lisa— a certified nutritionist— and John, Veggie-Go’s founders, lived and worked on organic farms before they were inspired to create a new slant on snacking. Their snacks come in two varieties: strips (think fruit leather) and bites (think fruit snacks). All are USDA organic, non-GMO, and gluten free with NO added sugar. AND, each package contains one full serving of whole fruits and veggies. Corn Syrup, Dried Corn Syrup, Sugar, Pear Puree Concentrate, Palm Oil. Contains 2% or less of: Citric Acid, Sodium Citrate, Fruit Pectin, Monoglycerides, Malic Acid, Dextrose, Vitamin C (ascorbic acid), Acetylated Monoglycerides, Natural Flavor, Color (red 40, yellows 5 & 6, blue 1). The ingredients of the Veggie-Go? Organic Sweet Potato Puree, Organic Concentrated Apple Juice, Organic Concentrated Apple Puree, Organic Concentrated Strawberry Juice, Organic Concentrated Beet Juice, Organic Chia Seeds, Citrus Pectin, Cellulose, Natural Flavor. As I said, Veggie-Go’s come as strips and bite-size snacks. And the flavors are sort of wild. Not something you would normally leap to grab off the shelf, right? But for the preschool set especially, it’s a more natural transition from all those wholesome baby purées and meals they ate as toddlers. I’m not one to shame anyone for giving their kids the occasional not-even-pretending-to-be-good-for-you snack, but for an everyday lunchbox item these are a fairly healthy option in a fun package. I will be honest and say I don’t really like fruit snacks of any kind, myself. I’m not into chewy/gummy candy or fruit. That said, I gamely gave all the flavors a try and I liked them fine. My favorites were the Strawberry, Chia + Beets and the Cocoa Nibs + Carrots. They have a bit of crunch to them reminiscent of strawberry seeds, which I sort of liked better than traditional fruit snacks. My husband, who does like fruit snacks but does not like things that are clearly good for you, liked the berry apple and sweet potato varieties best (he placed them in order by favorite here, from right to left). I left all the boxes on the windowsill, first at home and then at the beach where we had several families visiting with us for the weekend. I didn’t mention to anyone that I was reviewing Veggie-Go’s, I just left them with the rest of the communal food. The result? I overheard one set of kids recommending their favorites to one of the adults as they all sat down for lunch. Another set of kids asked if they could take some to the beach as a snack. I think I came home with three left over. So yes, kids will totally eat these and ask for more. And some adults, who aren’t restricted by “one treat a day” rules will maybe eat them all day long if you don’t chastise them. Seemingly rogue apostrophe aside, I really like Veggie-Go’s. I love that the cartons are fully recyclable and made from recycled paperboard, which is fueled by local wind energy in Denver. I love the designs on the wrapping and the fact that the cartons present themselves attractively like store displays. I think they would do well as natural energy boosters for hikers or when working out, or even just working— to get you through that afternoon slump. But especially I think they’re great for lunchboxes for littles. They look just like regular fruit snacks (cuter, even) but they sneak that little bit of extra veggies into a kid’s diet, which is a win in my book. Obviously, real fresh fruit and veggies are the best option, but they’re not always in season, don’t necessarily hold up well in a lunchbox, and most importantly you’re not there to wheedle them to finish up their meal. If you have a kid who doesn’t love their veggies, Veggie-Go’s are an easy way to incorporate some without a fight. 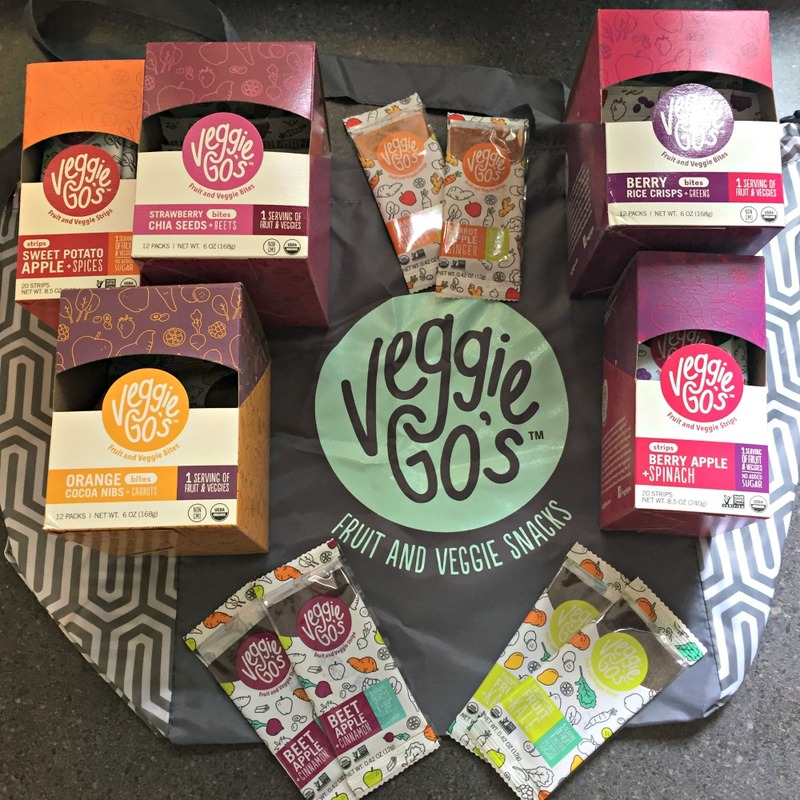 I can buy Veggie-Go’s organic fruit snacks at Whole Foods, our local natural foods grocery and our co-op— enter your zip code in the store locator to find a physical store near you. Or, you can buy online at Amazon or directly from the Veggie-Go’s website.